We know how much you love to make your home twinkly and beautiful for the festive season. Friends and family gather, centred around feasting, entertaining and gift giving. We have put together some sparkling ideas to help you create a magical, memorable willow winter wonderland. Celebrate in stylish surroundings and ensure everyone has a warm welcome in your home this Christmas. 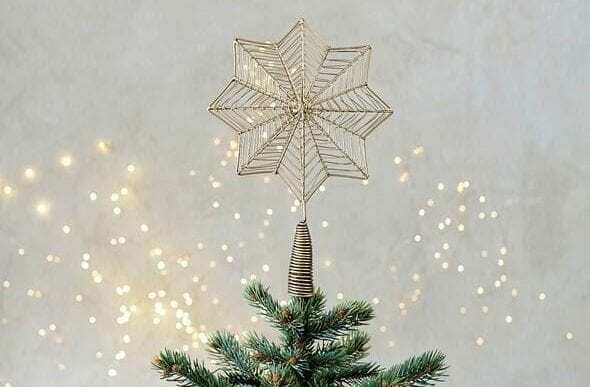 Following our post on Christmas tree traditions, here is quick reminder on creating the Christmas magic and decorating your tree willow style. Pick a few key baubles designs that are your favourite maybe they are all different but in similar colours. These ones will be your foundations to your tree design. Try not to overload the tree with too many decorations or clashing colours. No coloured lights and absolutely NO tinsel (sorry). 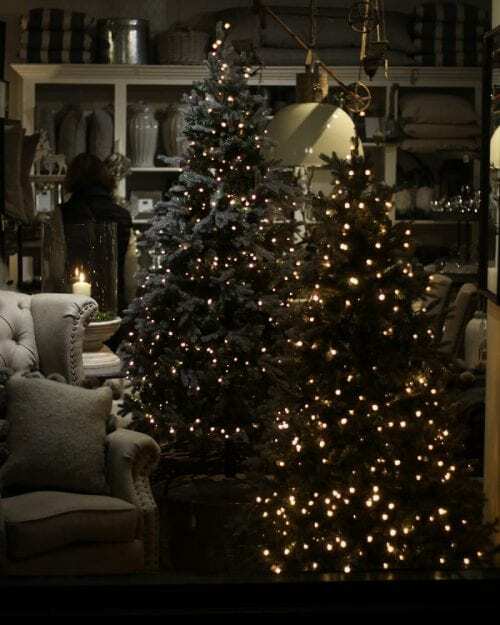 At this time of year Willow is known for our soft, calm twinkly Christmas fairy lights both on the inside and outside of the shop and our selection of scented candles. 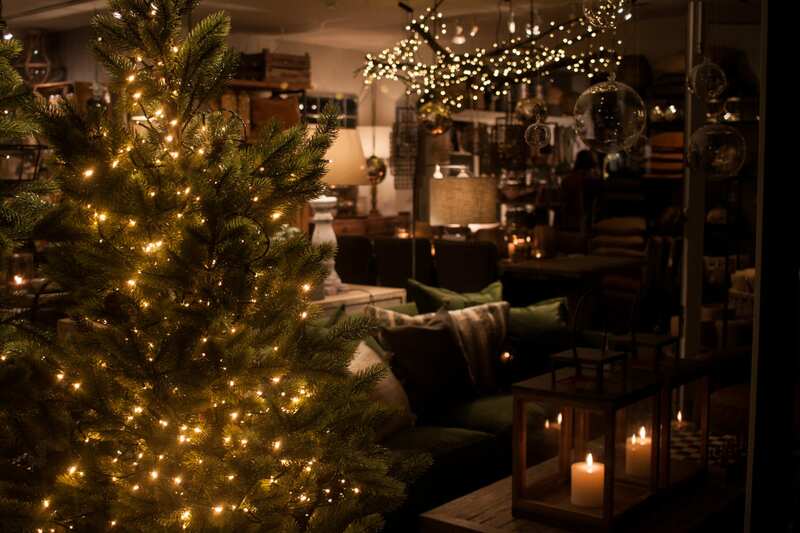 The beautiful festive scents from St Eval fill the shop and create the winter wonderland in the lead up to Christmas. This is a great way to create the atmosphere from the moment your guests arrive; the candles provide not only the sumptuous scent but creates a calm cosy glow. You can place them in a hurricane lantern or even style them on a tray with some foliage and our mixed spice potpourri with orange and cinnamon around the bases of the candles. When it comes to fairy lights we always use warm white lighting as we have found cool or ice white can create quite a harsh atmosphere. Soft and serene is the willow winter wonderland look. When planning your Christmas feast, it’s easy to put all your efforts into the food, crockery and trimmings. Creating a decadent and charming table with beautiful, yet simple place settings is the first impression and sets the scene. 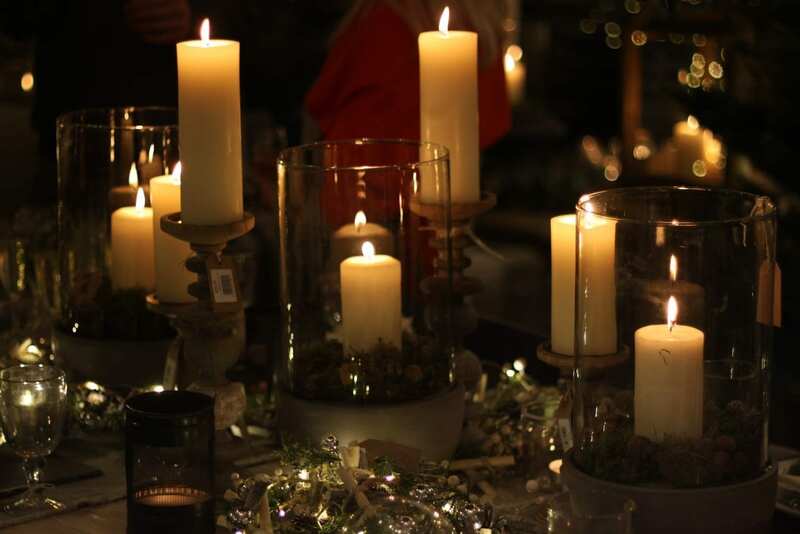 We have highlighted some key ideas to help you create some magic at the Christmas table. Create calm soft lighting with candles. These can be in t-light holders to create scattered glow and sparkle or just in two or three statement lanterns along the table . 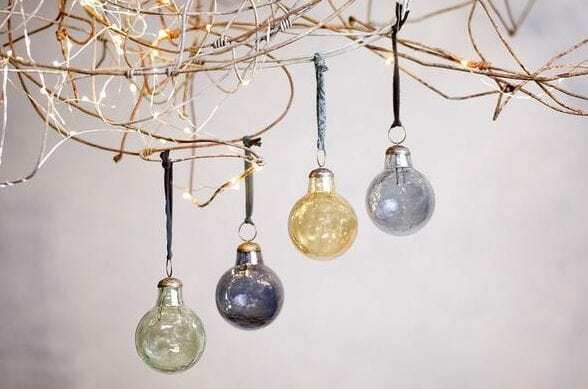 Add natural foliage or branches with tiny fairy lights weaved through. Set up your place settings layering the plates with a napkin placed on top. 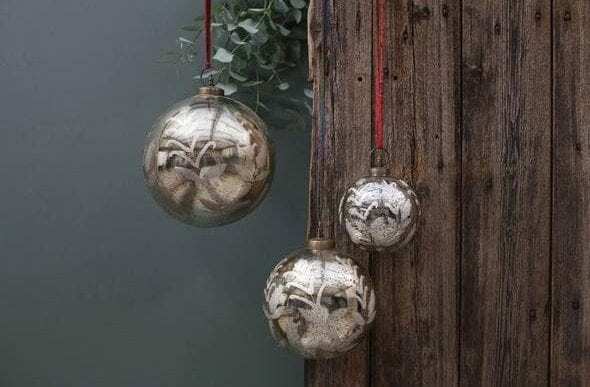 To finish place a bauble or decorative sprig of foliage. Remember you need to be able to put down all your yummy food and get to it whilst chatting to family and friends so again don’t over do it! 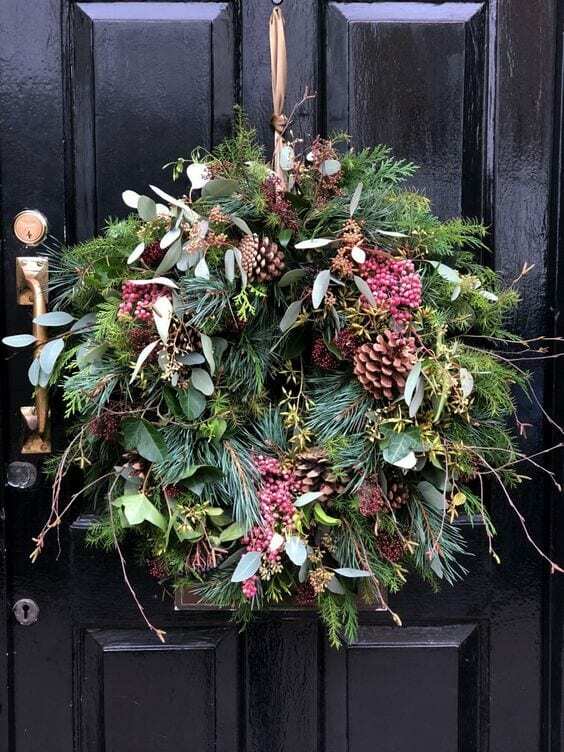 A rustic natural looking Christmas wreath on the front door is a great way to welcome your guests. A tray on a console with some festive foliage or our mixed spice potpourri with a few t-light holders nestled amongst it. Gift-wrapping has to be one of our favourite parts in the Christmas preparation. 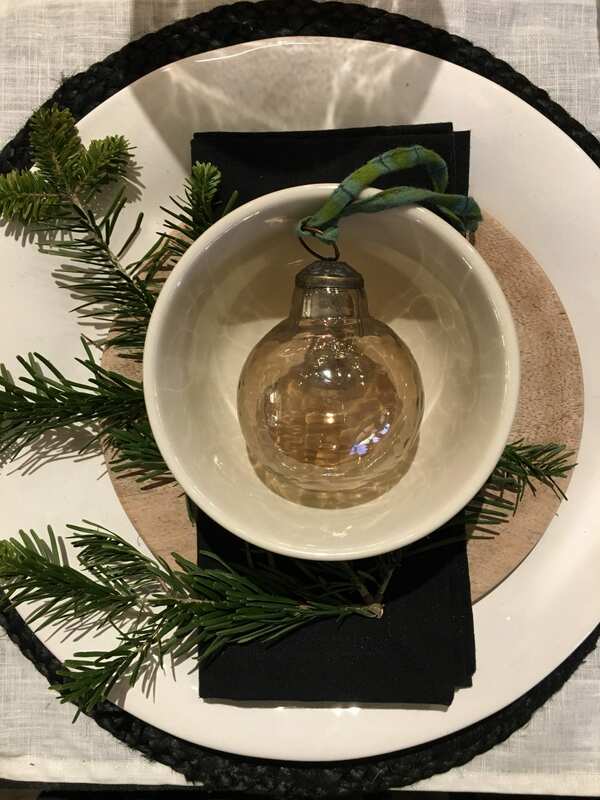 We love to use just simple brown paper and some brown string, paired with a some festive foliage or a pinecone to finish it off. A rustic simple and stylish look. You can add a pop of colour with some festive ribbon or coloured string to complete the look. A perfect parcel wrapped with love. We have a gorgeous selection of little gifts perfect for stocking fillers. If you are stuck for ideas, head over to the Christmas page where you will find something for everyone. 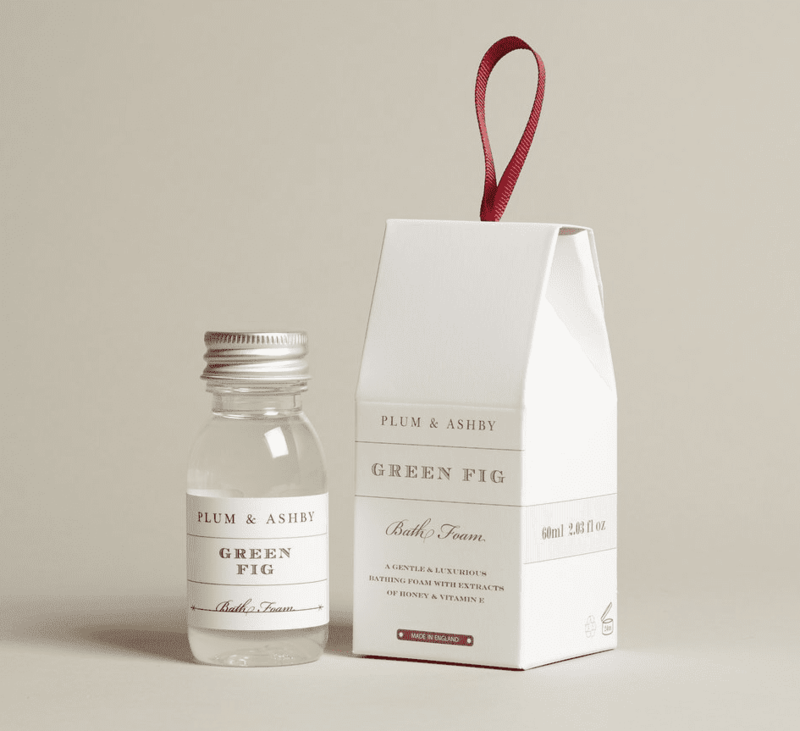 From pampering treats for her such as the Plum and Ashby breathe and relax gift set or an array of simple and stylish games and accessories such as the Mango wood cards and dice set. When welcoming friends and family into our home at Christmas we want to make them feel relaxed and comfortable. It is nice to offer guests that are staying some space to have time to themselves and sleep soundly. Have a look at the guest bedroom, is it an inviting cosy space for guests to relax in after all the celebrations? Ensuring there is somewhere for them to unpack their belongings, such as a stylish chest of drawers. A bedside table with a lamp to create a calm environment. One of our favourites is the Concrete bullet lamp. Why not go the extra mile and fill a small basket with some essentials such as cotton pads, a hand cream toothpaste and other toiletries. Create a sleepy sanctuary to nestle in to. 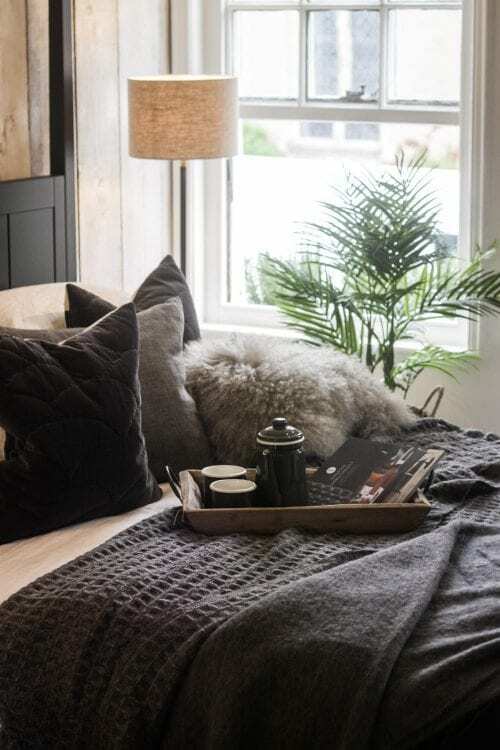 Luxurious throws and blankets are an absolute must for a comfy, cosy bedroom adding a few cushions make the ideal decorative addition. We hope this helps you in creating your very own willow winter wonderland. We would like to wish you all a very Merry Christmas filled with love, magic and sparkle from our home at willow to yours.